Bradford Teaching Hospitals has supported clinical research for more than 20 years and, in the last 10, research activity has increased dramatically (2006: 200 research projects ongoing, 2017: 550 research projects ongoing). It is our ambition to increase our clinical research, particularly in partnership with the biosciences and pharmaceutical industries, in order to enhance our reputation and deliver some of our national objectives. We also aim to increase the opportunities for our patients and staff to participate in high quality research to allow better patient outcomes and healthcare. The Foundation Trust’s commitment to research and ambition to be a national leader is clear in our research strategy “Together, making research real – a research strategy that changes a city” (2016-2021). Research takes place throughout the Foundation Trust and over the last 10 years there has been investment in our research infrastructure, notably the Bradford Institute for Health Research (BIHR), created in 2006/07. The BIHR is a collaborative partnership between the Trust and other local NHS trusts and primary care, as well as the universities of Bradford, Leeds and York. It provides a critical mass of research expertise, a focus for our applied health research and accommodation for a large number of our non-clinical and clinical research teams. As part of the BIHR facilities the Trust also has its own clinical research facility which provides dedicated, high-quality outpatient facilities for our researchers. The BIHR also runs the Yorkshire Quality and Safety Research Network, and is host to the Yorkshire and Humber Improvement Academy, which helps the organisation achieve its commitment to provide the best quality and safety of care through innovative research and the spread of best practice across the region and beyond. 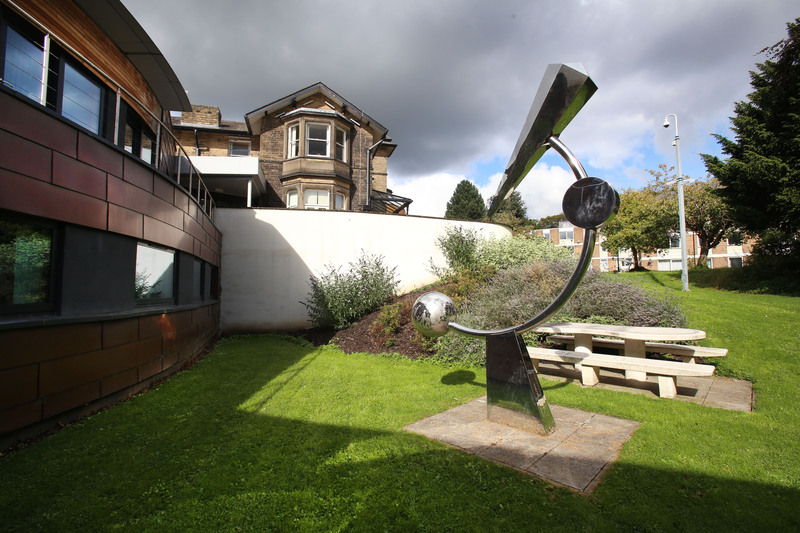 The Bradford Institute for Health Research, part of Bradford Teaching Hospitals NHS Foundation Trust, is located in its own building on the Bradford Royal Infirmary site. The Government wishes to see a dramatic and sustained improvement in the performance of providers of NHS services in initiating and delivering clinical research, with the aim of increasing the number of patients who have the opportunity to participate in research. Its recruitment to clinical trials, namely whether the 70-day benchmark to recruit first patient into the trial has been met (performance in initiating clinical research). Its recruitment to time and target for commercial contract clinical trials (performance in delivering clinical research). The performance information for the Foundation Trust for the current financial year is given in the tables below. For further information regarding this please contact Dr Tracy Watson, general manager (Research) Telephone: 01274 382342 or email tracy.watson@bthft.nhs.uk. Bradford Teaching Hospitals NHS Foundation Trust is dedicated to improving its service to research participants. We are therefore conducting a survey to find out what we did well, or not so well, while you were involved in a research study. Similar surveys are being undertaken by other hospitals throughout the country. In order to collect this information we are asking research participants, or their carers, to complete a questionnaire (available here) by 31st January, 2019. The information you give us will be used to understand what works best for research patients in the NHS and where we should make changes to the way we do things. It may also be used in publicity about the value of research to patients and illustrating reports about NHS research. All the information we collect will remain anonymous – it will not be possible for you to be identified from the information we share. The survey is voluntary. We would appreciate you completing all the questions in this survey but particularly section two, which features three standard questions that are being asked by all NHS research hospitals.